At Assisting Hands Home Care, we provide in-home senior care services for elderly citizens in Lombard, IL and the surrounding areas in DuPage county who have chosen to age in place. With these services, your loved ones will receive professional care from our licensed caregivers right in their own homes. Before we start our senior care services, we send a member of our staff to the home of your loved one. During this visit, we will do a safety inspection of the home and evaluate your loved one’s care needs to form an effective care plan. The care plan is created with feedback from you and your loved ones to ensure we accommodate their unique care needs. We will then assign one of our licensed caregivers to provide care for your loved ones according to the plan. Companionship: We consider ourselves more than just a caregiver for your loved ones, we will also be their friend and companion. Our caregivers build personal relationships with your loved ones through conversation and fun activities. Custodial Care: Elderly individuals commonly have trouble with personal care activities such as bathing, restroom use, and getting dressed. Our caregivers can help your loved ones with their personal hygiene and other activities (Learn more about our Companion Care & Custodial Care services). Fall Prevention: Falls in the home are a leading cause of injuries among seniors. Our caregivers can help reduce the risk of falls by keeping walkways in the home clear and guiding your loved ones throughout the home. Meal Preparation: It is important for seniors to get enough nutrition, but cooking may be difficult or dangerous. Our caregivers will prepare meals each day to ensure that your loved ones get regular meals. Transportation and Errands: If your loved ones have given up their driving privileges, our caregivers can help them get to doctor appointments and visit family as well as take care of their errands with our transportation services. Light Housekeeping: Some housekeeping tasks can be difficult for those with physical or cognitive limitations. Our caregivers will take care of certain housekeeping tasks to keep the home clean. Respite Care: Some families can provide care for their elderly loved ones themselves, but they may still need additional help to give the family caregiver some time off. We provide respite care services to help relieve family caregivers who are caring for their elderly relatives. Overnight Care: If your loved ones cannot be alone at night, our overnight care is a great option. Our caregiver will arrive in the evening and stay awake through the night to provide assistance or respond to emergencies. Live-In/ 24-Hour Care: We understand that there are circumstances in which it is best to have someone in the home with your loved ones 24 hours a day. We offer live-in care services to have one of our caregivers live in the home, as well as 24-hour care services in which two caregivers alternate every 12 hours to ensure someone is awake in the home at all times. Alzheimer’s and Dementia Care: Those suffering from Alzheimer’s and other forms of dementia benefit from receiving care in their own homes. Our caregivers are specially trained to provide memory care services for those suffering from these conditions. Post-Hospitalization Care: The transition back home from the hospital can be difficult after an illness or surgery. Our post-surgery care will help make the transition from the hospital back home easier to help prevent a setback that will put your loved one back in the hospital. Hospice Care: If your loved one has been diagnosed with a terminal illness or limited life expectancy, we can provide them with care through our hospice care services. Our caregivers will help keep your loved ones comfortable and pain free in their final days. If your elderly relatives in Villa Park, IL could benefit from senior care services in their home, contact Assisting Hands Home Care at (630) 313-6160. 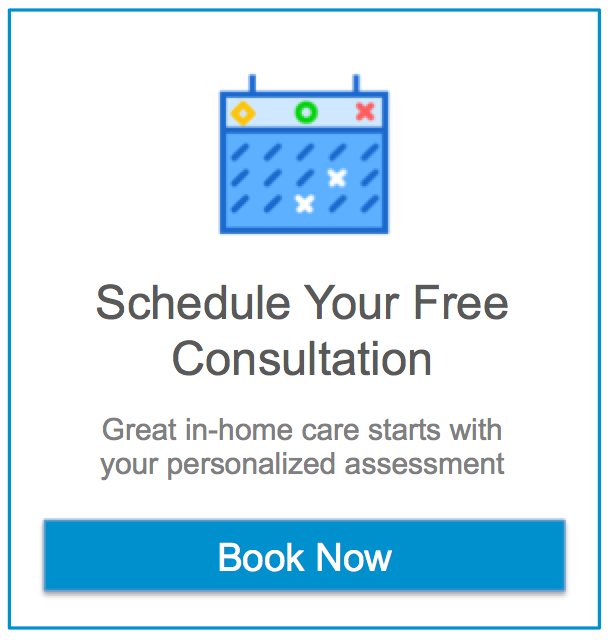 We will provide you with a free initial in-home assessment and a personalized home care plan that fits your special requirements.